Five hundred years ago, following a debilitating injury sustained in a futile battle, a young Basque soldier named Inigo Lopez — and later known as Ignatius Loyola — began a journey of self-discovery and transformation that is remarkably relevant to our lives in the 21st century. The cannon ball that shattered his leg also triggered a radical conversion in his heart. During a prolonged and painful convalescence at Loyola, a very frustrated Inigo had time to reflect on his life and what he intended to do with it. For countless contemporary spiritual pilgrims his insights have been life-changing, beyond anything even he — a great dreamer of dreams — could have imagined. This e-course invites you into a journey of exploration into this practical, real-world approach to Christian spirituality. Discover something of the real Ignatius. Let him guide you into the creative power of your own desires and offer you tools for making wiser choices. Try out some of the methods of prayer and reflection that he suggests, and engage with the power of scriptural meditation. Learn to notice what is moving in your heart, and discern which movements are coming from the deepest core of your being, where God is indwelling. 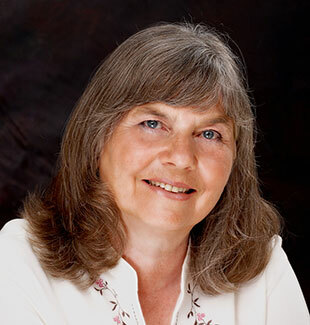 Your companion on this adventure is Margaret Silf, author of a wide range of books for contemporary spiritual pilgrims, including her seminal Landmarks: An Ignatian Journey (published in the United States under the title Inner Compass). She is profiled in S&P’s Living Spiritual Teachers Project. Margaret is a global citizen, resident in the United Kingdom, who travels widely in the course of her retreat ministry. She has been trained by the Jesuits of the Irish and British Province in accompanying others on their spiritual journeys and in the dynamic of the Ignatian Spiritual Exercises. We warmly invite you into this adventure — an invitation to become more and more fully the person you are created to be — the person you truly are — guided by one who lived half a millennium ago but whose insights remain fresh and relevant today.